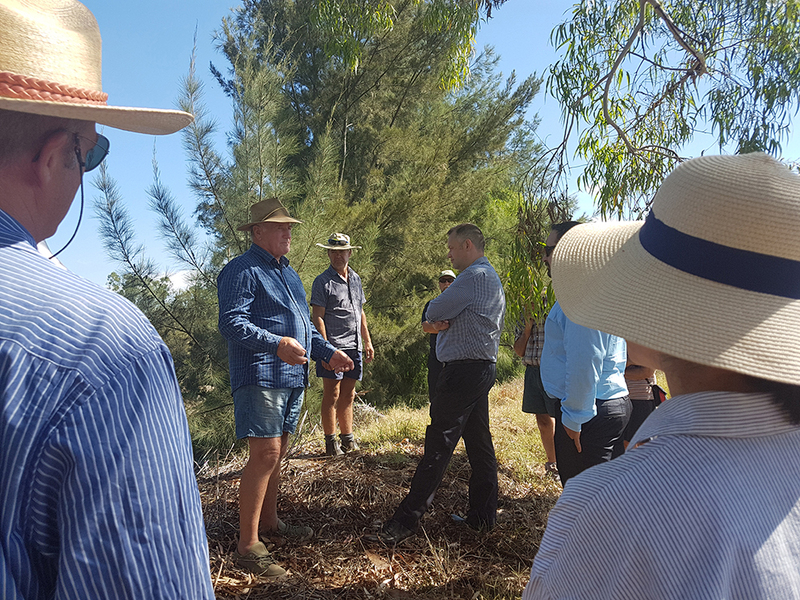 Staff from The Mulloon Institute group recently attended a series of field days in northern NSW featuring Peters Andrews OAM – one of the world’s best-known land and water gurus, and TMI’s Natural Sequence Farming expert. The field days were aimed at farmers, graziers, Indigenous land managers and local governments, and raised questions about existing land and water management and the need for changes in response to ecological damage and erosion. Participants visited 13 sites around Wellington and Dubbo over four intense days, including the banks of the Macquarie River where massive erosion has taken place, and various creeks, rivers and dams in the area. Carolyn Hall (Mulloon Consulting, Contracting & Certifying) spoke with participants about TMI’s work rehydrating the Mulloon Creek floodplain via leaky weirs and how this is being achieved in partnership with 23 local landholders. Carolyn also discussed findings from the 2016 Mulloon Creek fish survey (conducted by the University of Canberra), indicating that invasive mosquito fish (Gambusia holbrooki) were not recorded at several sites along Mulloon Creek where leaky weirs had been established. This was despite being seen in high numbers in surrounding creek areas and prior to installation of the leaky weirs. Thanks to Mid Macquarie Landcare and John Ryan for organising this worthwhile event. Peter Andrews (right) and Scott Middlebrook (left) from The Mulloon Institute. Peter Andrews addresses the crowd. One of the site visits.